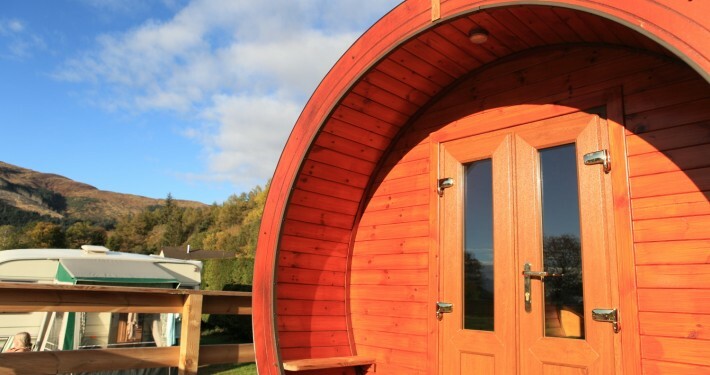 Our Micro Pod and Mini Pods are available for nightly hire, with a 2 night minimum at the weekend. 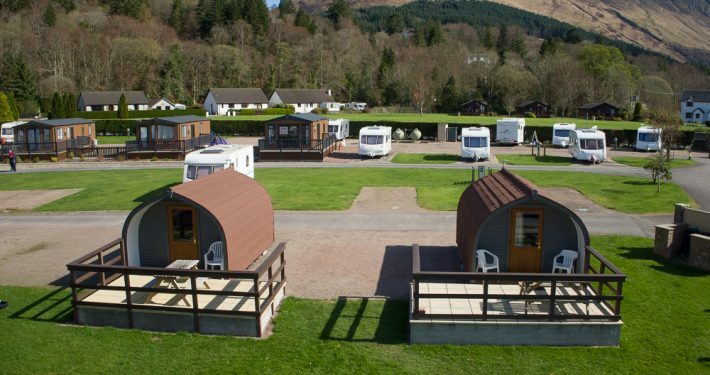 They are a real fun alternative to a tent and especially good when the weather is less than you might wish for… Their location is a short walk from Glencoe Village and a local hotel/pub. 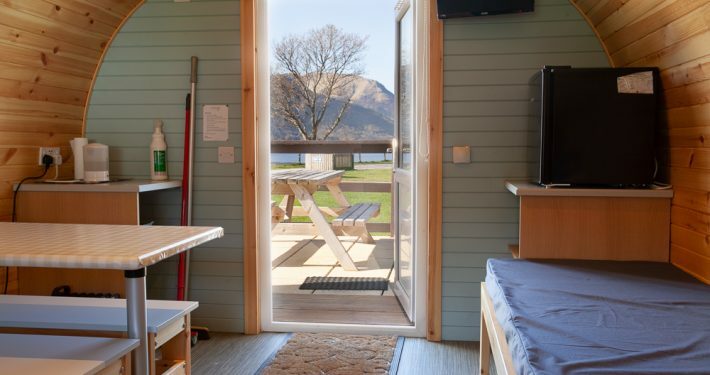 They are even closer to the water for a great view across Loch Leven. 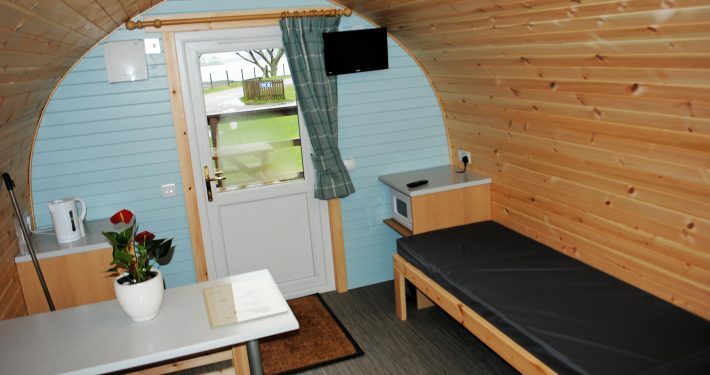 Our Micro Pod has a double mattress and two single mattresses to sleep a maximum of four people. 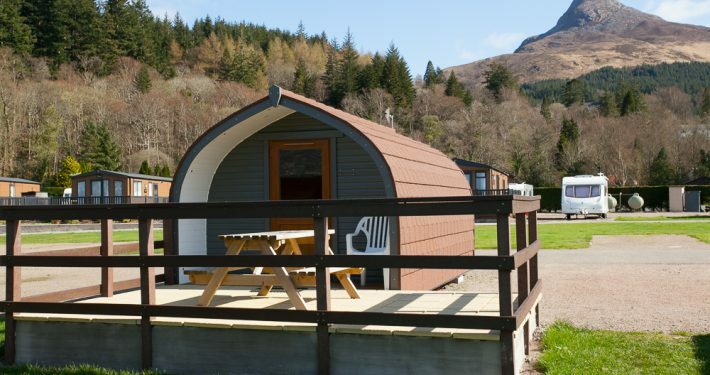 And our Mini Pods sleeps 5. 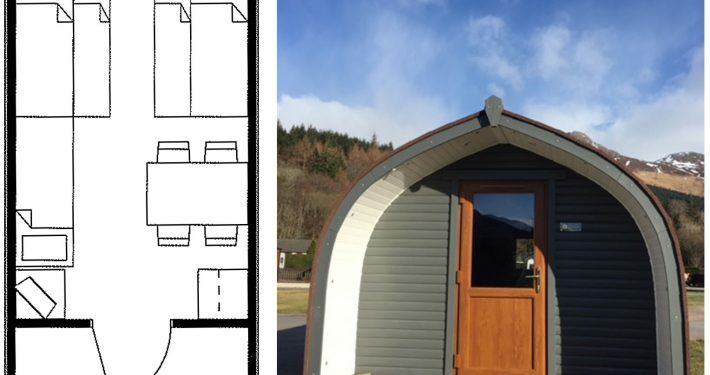 There is TV, Kettle, Fridge, Microwave and built in heater in each unit ( No crockery or cutlery provided, you would need to bring your own). 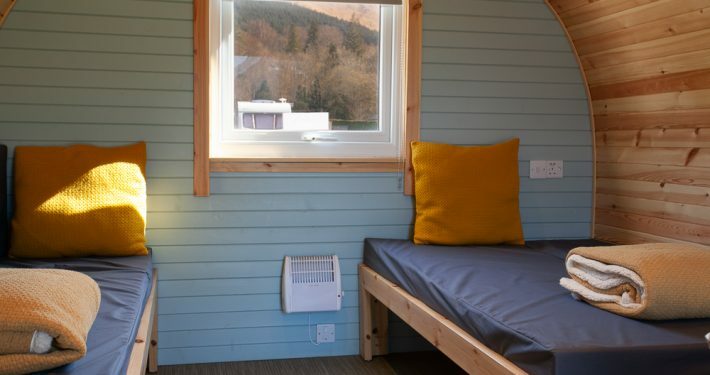 Electric heating is provided for the colder months of the year and there are spare electric sockets for charging phones/cameras etc. NB you have to supply your own bedding ie sleeping bags and pillows. There is also an enclosed decking area to relax outside on decent days. Just think – arrive, park up, no hassle putting the tent up and nothing to pack away in the morning – try them, and you may never want to camp again. 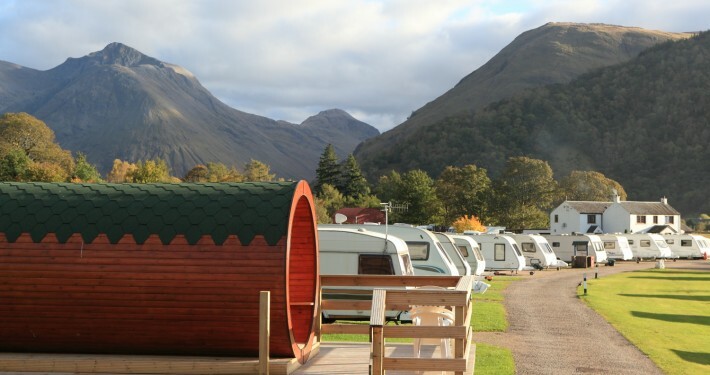 Great value self catering in Glencoe. Micro Pod key must be collected by 6pm (unless prior arrangment has been made). Plus £5.00 per extra adult or £4.00 per extra child/pet, 2nd Car £2.00 – Please note any monies paid are non refundable.